At aMuse Toys, you won’t find the mindless games like you might at big-box toy stores - each toy has been hand selected by the owners for inclusion in their inventory. Claudia and Tom Towles believe in purposeful play. They look for toys that are well designed, beneficial to a child’s development, and playfully engaging. In fact, Tom and Claudia spend hours researching and investigating new products and their unique manufacturing processes in order to ensure that they are providing their customers with the most innovative products. Another great resource aMuse provides to patrons is their incredibly knowledgeable staff. Each aMuse employee is trained to help parents and children find toys that are appropriate for their (or their child’s) age, interests, and developmental ability. The aMuse staff will help you find toys that are as unique as your child. aMuse is much more than just a toy store. They understand the importance of connecting with neighbors, vendors, and the community. They are always happy to support the Baltimore community that helps aMuse thrive. They often donate money to local schools and non-profit organizations such as the Downtown Baltimore Family Alliance and Blue Water Baltimore. They have also donated thousands of dollars worth of toys to the Baltimore Child Abuse Center and the YMCA of Central Maryland. In addition to supporting Baltimore through charitable donations, they also support local toy manufacturers. Tom and Claudia believe in buying local as much as they can. For babies, aMuse sells Kleynimals from Annapolis, clean, stainless steel animal shaped keys. For the older kids, you’ll find Baltimore favorites like Ellie Bellie Kids toys and books from DuoPress Books. In the Baltimore area alone, an astounding $82,012,162 would be returned to the economy if households spent just $10 a month at stores like aMuse instead of mass merchants*. This money could have a profound effect on many local programs, including the education of aMuse kids and Baltimore children everywhere. 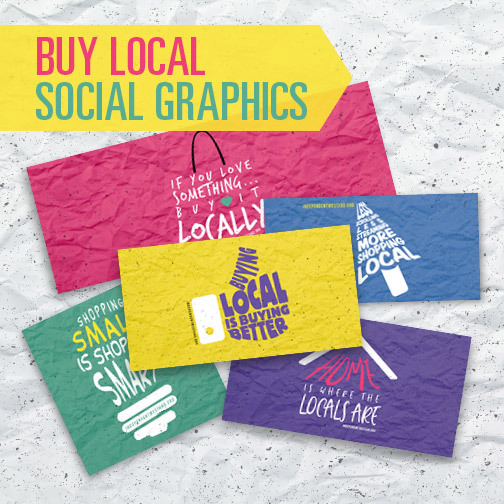 To see what kind of effect you could have on your community by buying local, go to our local economic impact calculator at www.IndependentWeStand.com/spend_local. 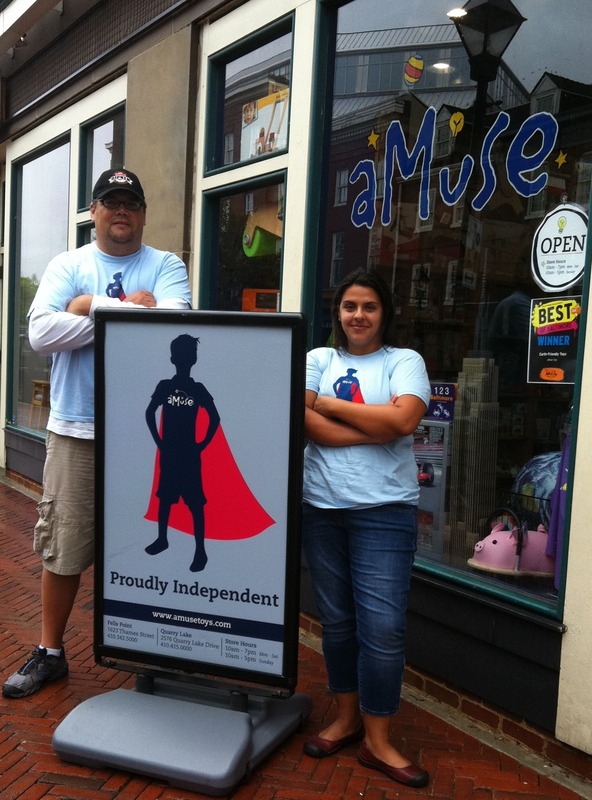 Next time you’re in the Baltimore area, stop by one of their two locations to see why aMuse is known as Baltimore’s best toy store. * Based on Civic Economics Andersonville Study of Retail Economics: When you spend $100 at an independent business, $68 returns to the local economy versus $43 when spent with a national chain. Based on U.S. Census projection of 115 million U.S. households. 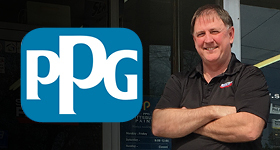 Read more about American Specialty Toy Retailing Association, independent toy stores, small business stories.